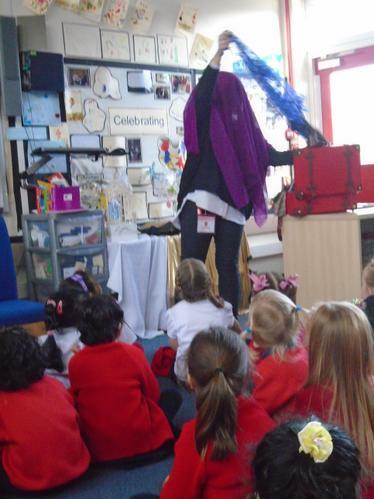 We have had a visitor to the EYFS. 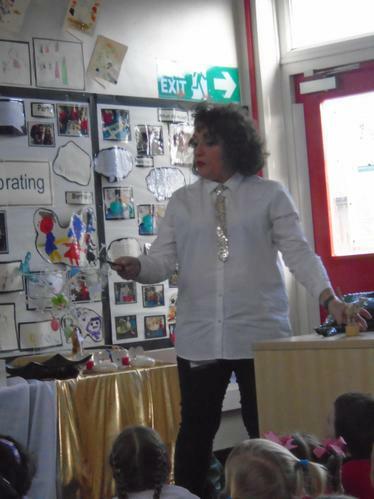 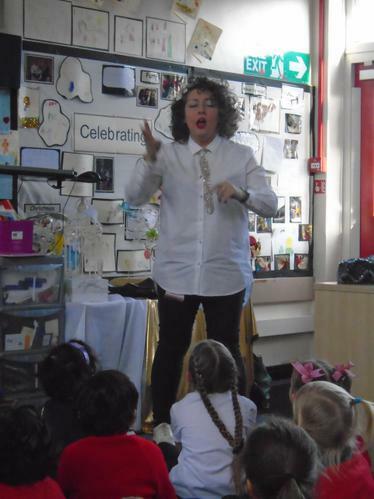 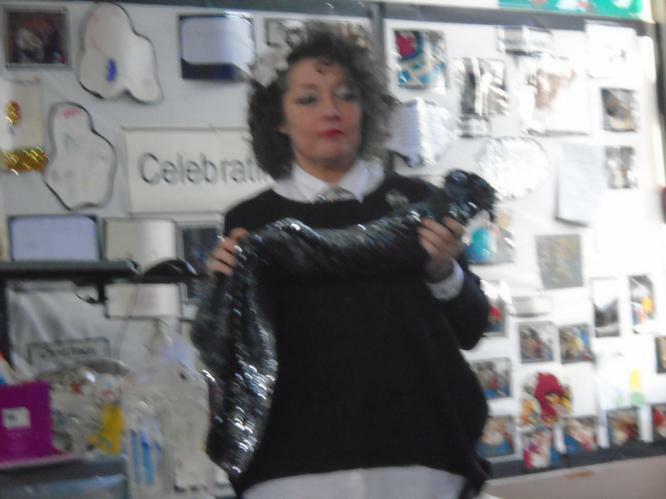 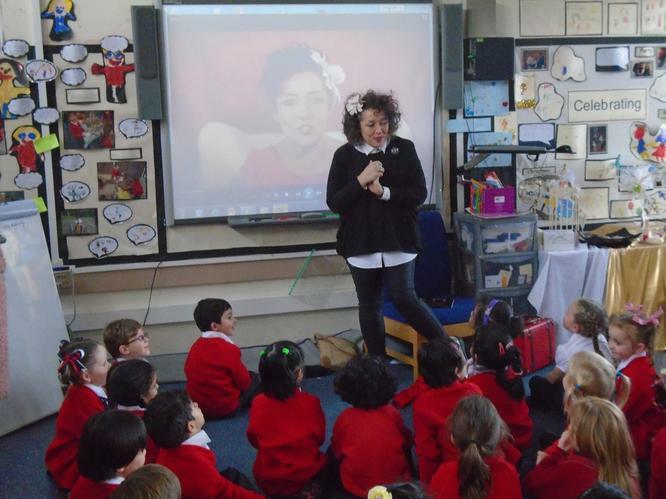 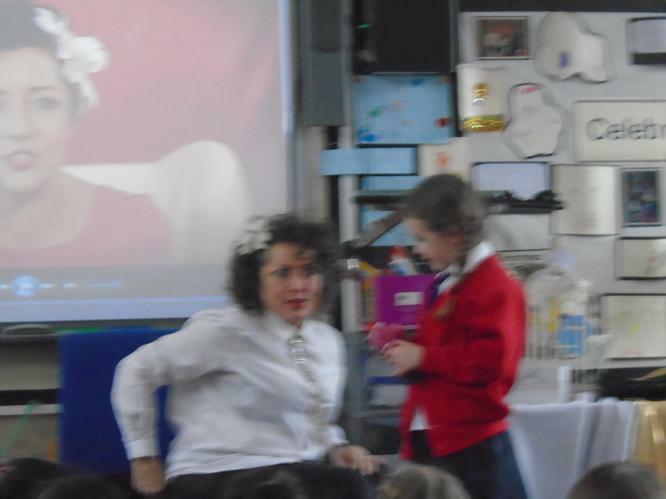 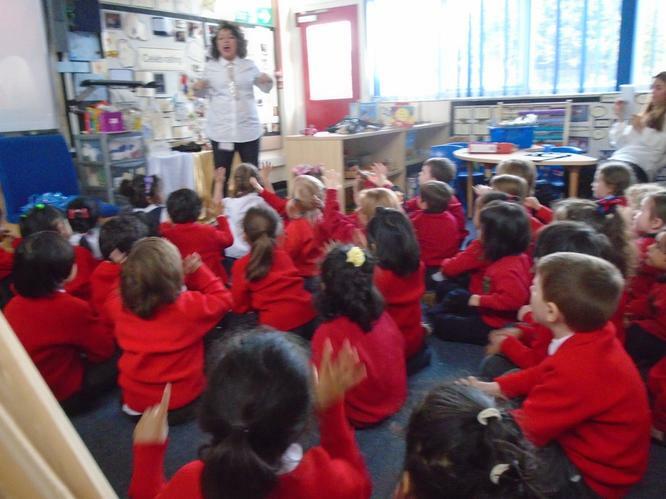 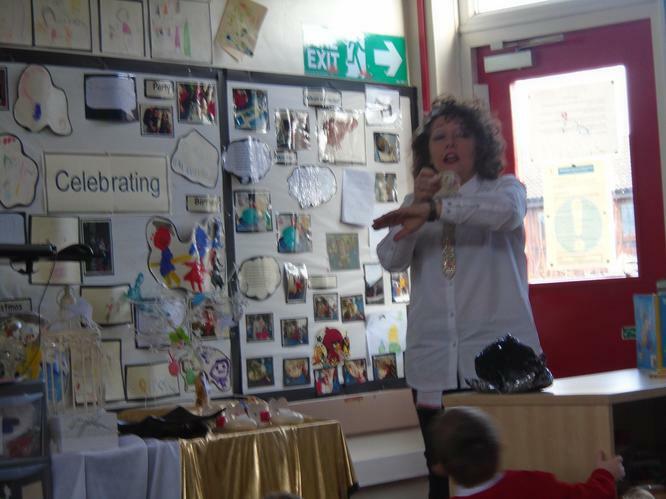 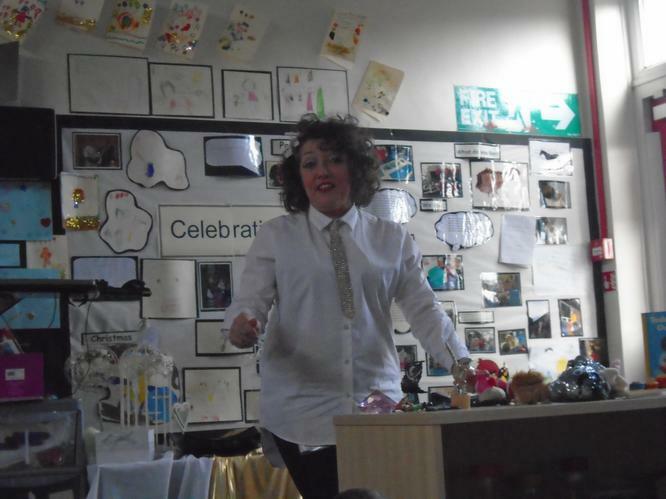 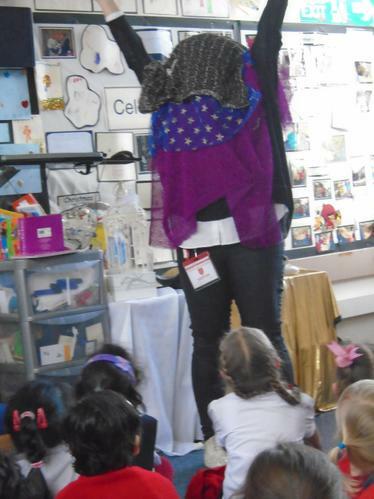 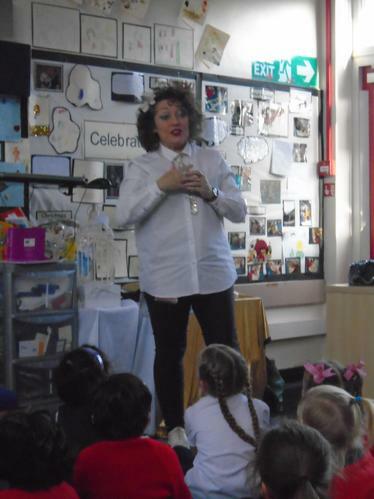 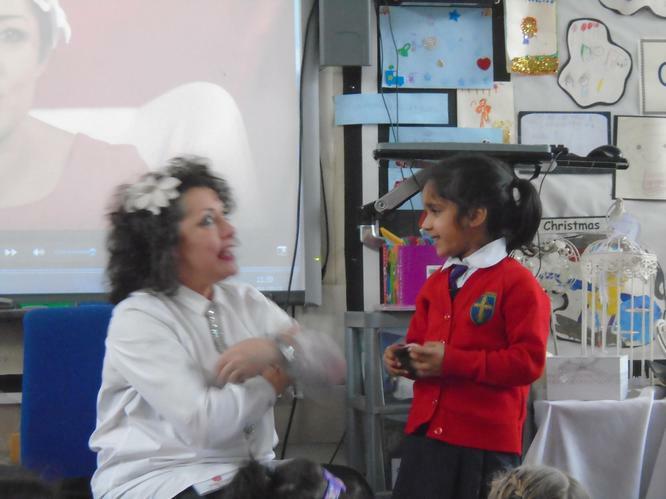 Children's laureate Katrice Horsley visited our setting to create imaginative stories with us. 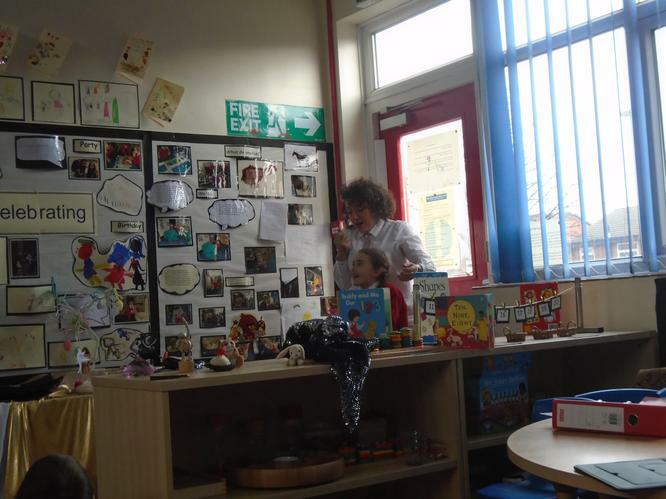 She used a special box full of wonderful objects, animals and material to create a story using actions, songs and rhymes. 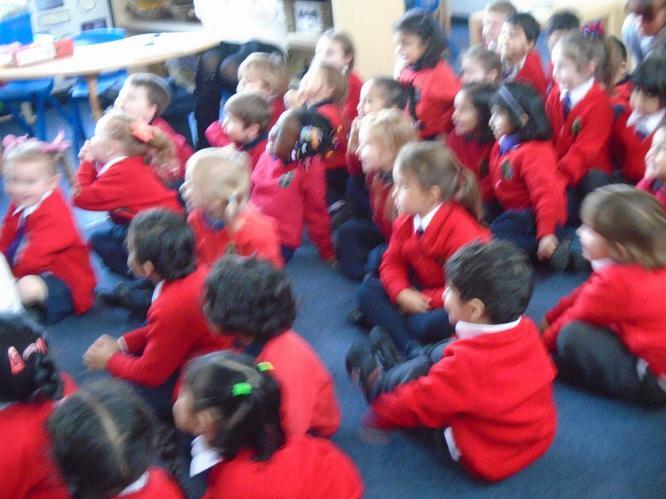 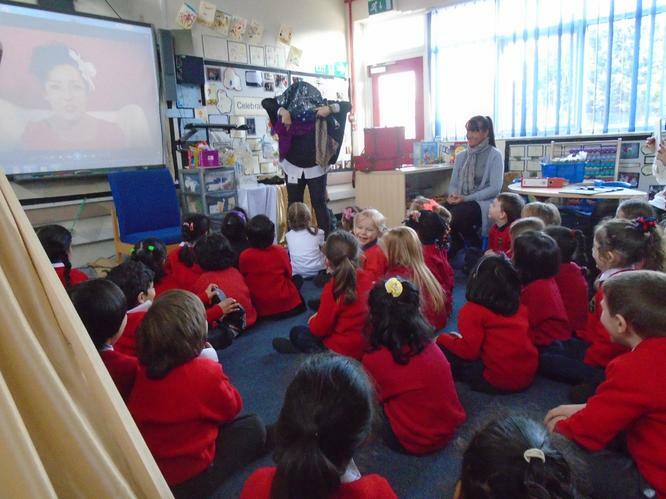 We enjoyed joining in with the story, creating parts of the story and retelling it. 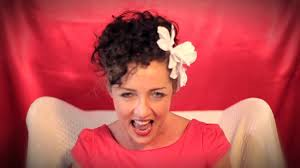 She was very funny and used lots of imaginative, expressive, weird, wonderful and humorous language. 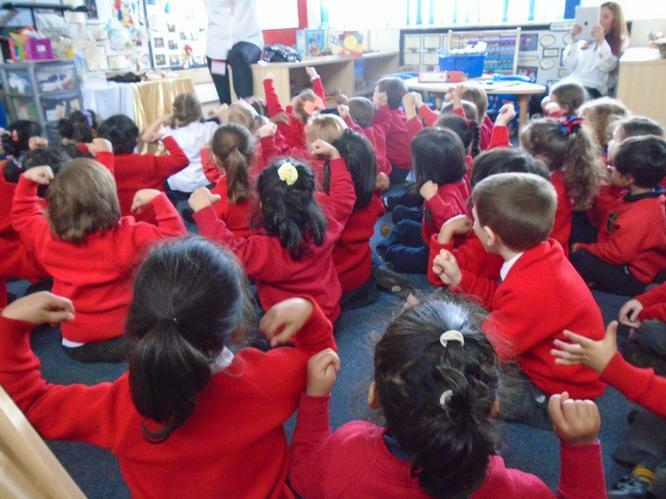 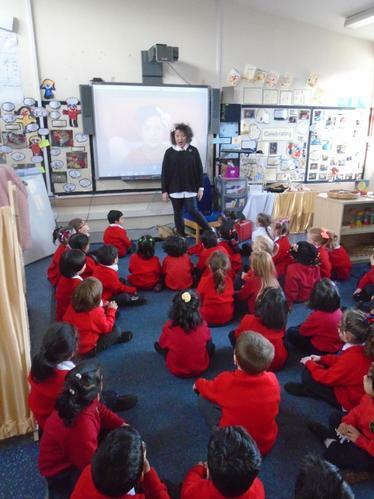 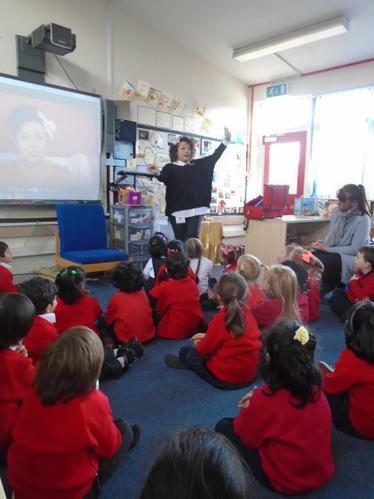 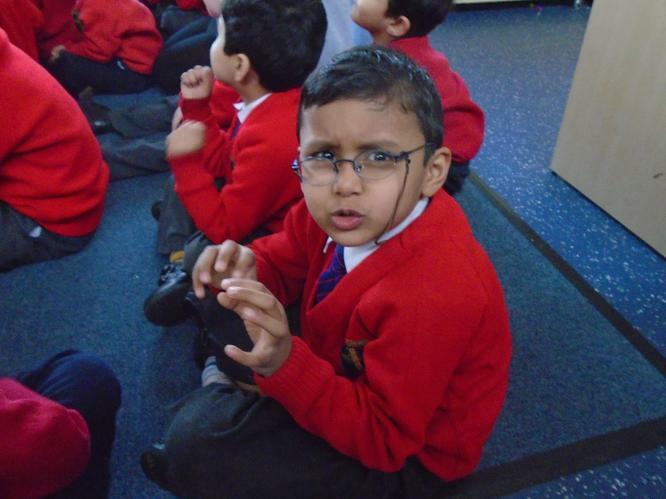 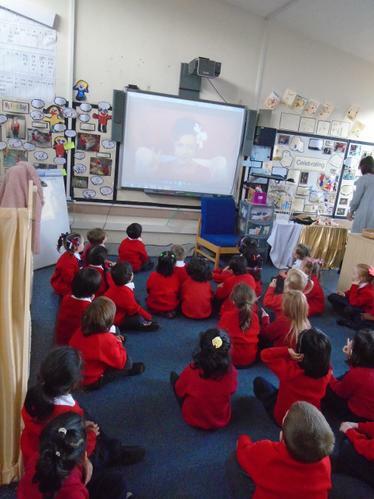 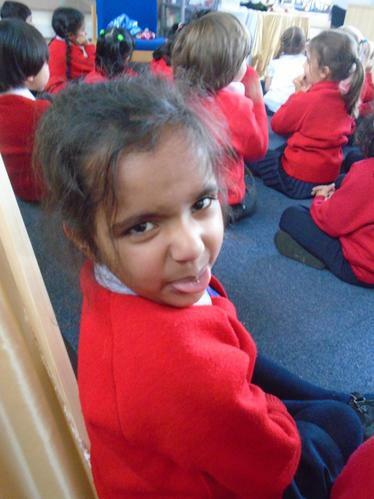 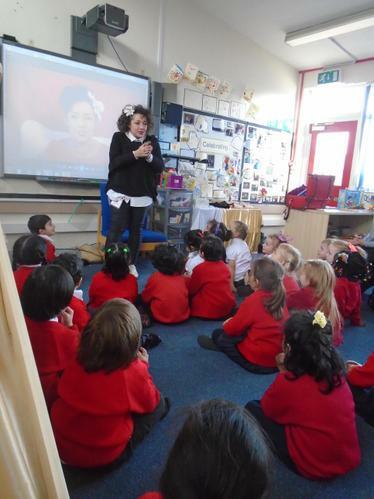 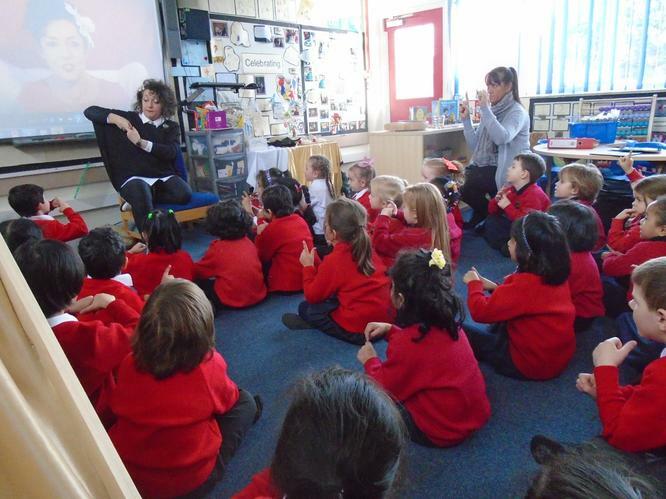 In the EYFS we are going to continue with our storytelling time and try to make them as funny, exciting and language enriching as Katrice. 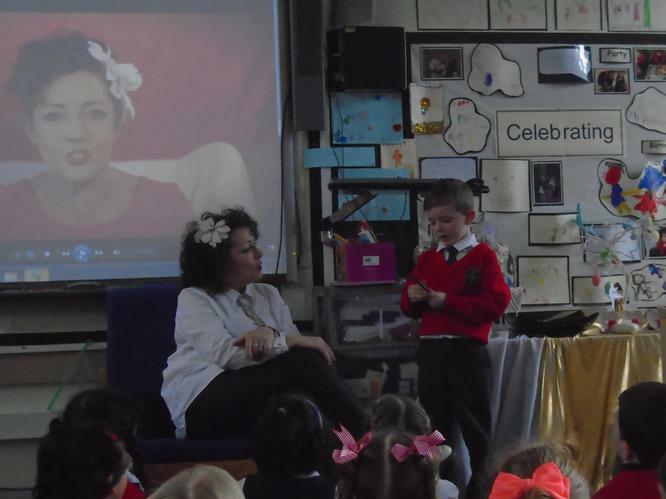 Stay tuned to watch our performance with Katrice Horsley! 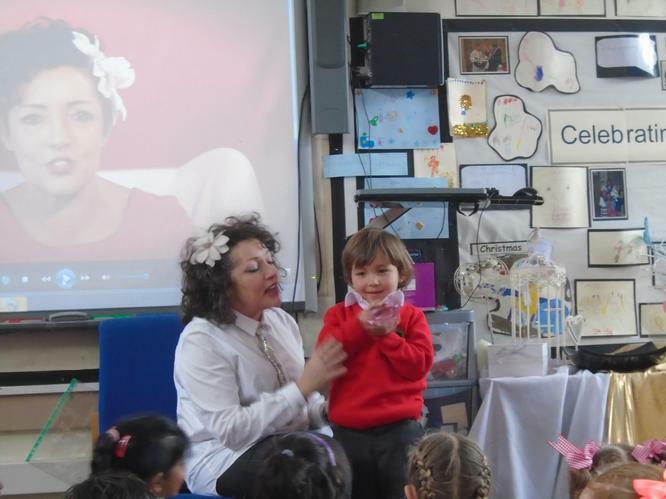 Please watch Katrice Horsley sharing the story of The Three Little Pigs.